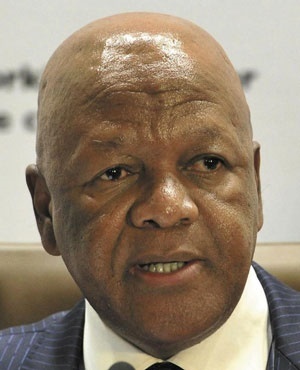 Government had little choice but to subsidise this month’s petrol price increase, a decision that preceded the announcement of South Africa slipping into a recession, Energy Minister Jeff Radebe said this week. “It is a one-off measure in response to the very negative economic climate all of us are aware of. This forced me, as the minister of energy, to make this decision under these particular circumstances,” he said this week during the Africa Oil & Power Conference in Cape Town. A volatile currency and rising crude oil prices have been identified as key drivers of the escalating petrol, diesel and paraffin prices. Over the past 12 months, Brent crude oil became 36.2% more expensive, rising from an average of $56.16 (R849.04) per barrel in September last year to $76.5 per barrel on Friday. In rands, the Brent crude oil price is up 62% due to the rand losing ground to the dollar. Radebe said he estimated the cost of his decision to subsidise the petrol price by 20c a litre this month at around R400 million. In future, stability in terms of the crude oil price will be crucial to the economic wellbeing of consumer countries such as South Africa. Radebe plans to engage with the Organisation of the Petroleum Exporting Countries to discuss this. “When prices of crude oil went from $125 to $28 per barrel, producers struggled and consumer countries enjoyed the windfall,” he said. Radebe also spoke about the future of South Africa’s energy landscape, in which gas will play an increasingly prominent role. “The draft integrated natural resource plan presents a strong case for natural gas as a significant contributor to South Africa’s energy mix,” he said, referring to the plan’s provisions for 11 930 megawatts of gas-to-power projects. This equates to 15.7% of the country’s total projected installed capacity by 2030. The 25-year gas trade cooperation agreement with Mozambique, which dates back to 2004, will become more important to South Africa’s gas future, Radebe said. Mozambican gas won’t be the only gas source of interest, Radebe noted, referring to Tanzanian, Namibian and even local gas. “The NDP identifies gas as an infrastructure priority, including the construction of infrastructure to import natural gas while increasing exploration to find domestic gas feedstock,” he said. This also includes shale gas. “We have one of the largest shale gas resources in the world in the Karoo. In our case, regional gas markets and local shale gas represent a potentially viable commercial opportunity,” the minister said. In terms of future new investment, Radebe said energy affordability should be made a priority to attract investment, which would, in turn, create jobs. This would also include making aviation fuels more affordable. When asked about any local new oil refining capacity plans, Radebe said it was not unlikely that a new oil refinery would be built. In terms of tackling the recession, Radebe said he would play his part to drive economic growth. Fostering policy certainty in the energy sector would be one of his key priorities, he added. "Energy is not only the lifeblood of our livelihoods, it also acts as the central nervous system that controls all economic activities in our country,” he said. "I will make sure we move at speed to eliminate policy uncertainty. Anything that stands in my way, I will remove."